It’s been just over 2 months since our Pacific Crest Trail adventure came to an end. It feels almost dreamlike – did it really happen?! Did we actually spend 5.5 months hiking 2660 miles? Yes we keep telling ourselves; we actually did it. I’m not sure our achievement has quite hit home just yet and I’m not sure it will for a good while. We’re slowly making our way through our photos and journal entries, trying to digest our amazing summer in the USA. 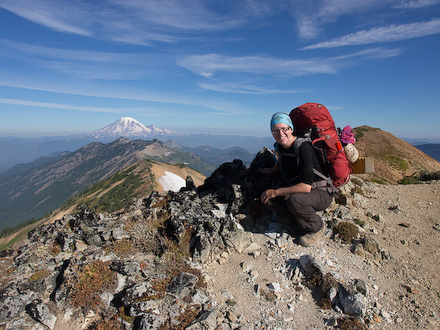 One thing’s for sure, the Pacific Crest Trail will forever be etched in our hearts, a truly unforgettable experience. It certainly wasn’t all plain sailing. It’s the hardest things I’ve ever done, physically and emotionally. There wasn’t one point along the trail where I didn’t have some kind of pain. It was like a top trumps of pain! At times I had tear-inducing shoulder blade pain but then that would temporarily be surpassed by shooting shin splint pain etc. If I wasn’t in pain the altitude was taking my breath away and leaving me feeling absolutely exhausted. I think you get the idea! Just over 2 months on I’m still suffering with tendonitis, a suspected stress fracture and loss of sensation in parts of my upper back. Our bodies have been well and truly tested. They held up surprising well, all things considered. Well done to my body *pat on the (slightly numb) back*. Emotionally, it was a rollercoaster of a journey with some incredible highs and totally life affirming moments alongside a substantial amount of grumping and swearing! (I’m sure Ali would testify to that!) I started the trail with so many fears and doubts; I finished the trail with no regrets and a whole heap of pride. The thing I appreciated most, and miss most now, was the simplicity of trail life. It was back to basics – our days consisted of walking, eating, drinking and sleeping. No complications, no competing demands, minimal stress. Blissful. Back at home I can be a pretty anxious person and have a bad habit, picking the skin around my nails. I often don’t even realise I’m doing it until it’s sore and bleeding. I didn’t ‘pick’ on the trail…at all. 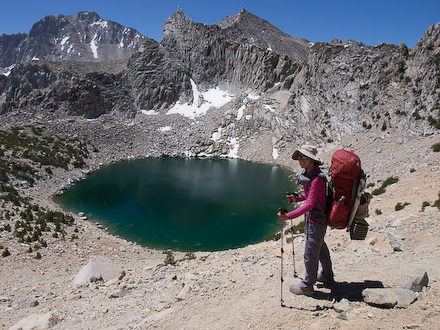 The Pacific Crest Trail was everything we hoped it would be, and more. We set out seeking adventure and pristine wilderness. We weren’t disappointed. Awe inspiring mountains, desert heat, spectacular glaciers, mesmerising meadows, volcanic craters, lush green forests, wildfires…adventure galore. What we hadn’t anticipated was the significance of being part of the hiking community, and how central that would become to our journey this summer. We experienced so much human kindness on the trail, from our fellow hikers, who became our extended family, to the strangers who invited us into their homes, gave us rides, left us cold soda when we needed it most and sent us on our merry way with all their blessings. The trail community often refer to the trail as “the world as it should be” and it’s so apt. We’re still adapting to being back in the ‘real’ world and eager to hold on to the lessons we learned on the Pacific Crest Trail, especially the value of simplicity and the importance of kindness. We’ve no doubt our lives have been enriched by taking this leap of faith and embracing the challenge. So many people have said to us, “You’re so lucky, I could never do that”. It’s not true. It took time, it required sacrifices but ultimately we made it happen. You can too. I’m sure we’ll write more blog entries as we reflect upon our monumental journey and we look forward to sharing this with you. Watch this space! What an amazing accomplishment. I would love to read more about your experience! Just watched some of your video of PCT on Youtube. Brought back lots of memories. Hiked it in 1974. We hiked it during one of the heaviest snows. Never saw the trail at Foresters Pass. Glad to finally get to see what it looks like. Also hiked the CDT. Very beautiful with less people and more wildlife. Could that be your next adventure? Thank you for putting together your PCT video and sharing it with the world. What a wonderful gift you have givn to people who might not ever get to see it. It was absolutely amazing to see so many different things and also experience a tiny bit of what you did. Congratulations on your accomplishments! I’m going to bookmark your site because I have a feeling that this is just the beginning for you guys. Take care and thanks for making a difference! I have no doubt that your video will inspire others to hit the trail and also to help protect our natural resources. Well done!